Contrary to what their name might suggest, basketball, tennis and running shoes are in no way confined to courts and tracks these days. Athletic footwear, less formally known as sneakers, can be found anywhere from boardrooms to fashion runways and companies such as Nike and Adidas are making billions feeding the sneaker frenzy. 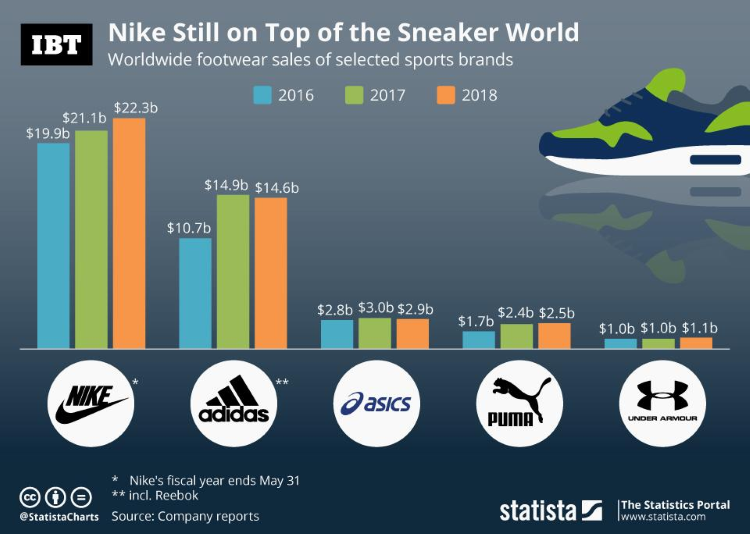 With annual footwear sales of $22.3 billion, Nike is still number 1 in the global sneakers market. Having started as an enterprise licensing Japanese running shoes for the American market, Nike quickly developed a name of its own in the 1970s when some of the company’s most iconic silhouettes were introduced.